I spent sunrise at Lily Lake hoping for something special and was not disapointed. 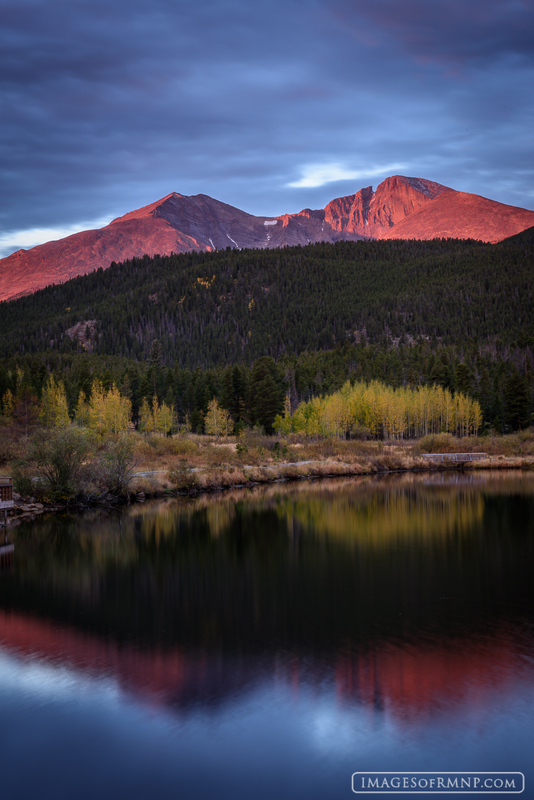 The sun covered Longs Peak and Mount Meeker in a rich warm light that somehow softened these jagged peaks for a few moments while below the aspen trees lifted their arms in celebration of beauty and life. Photo © copyright by Erik Stensland.